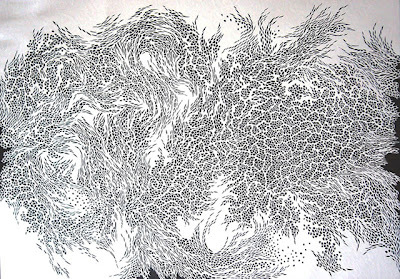 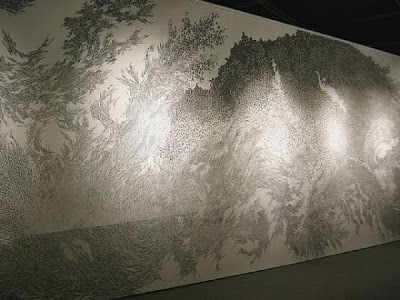 I don't know what it is but I have this obsession with paper art and intricately cut paper installations. 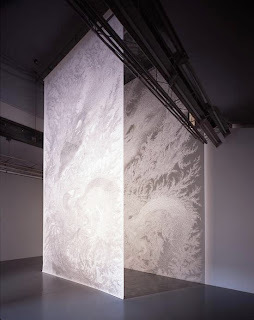 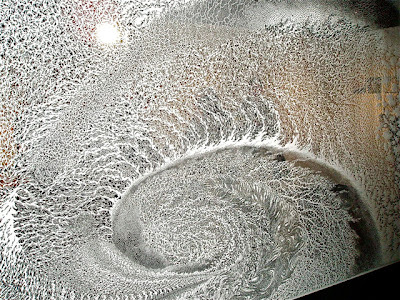 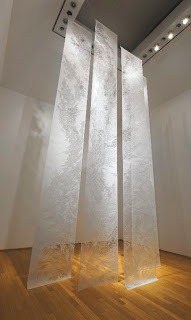 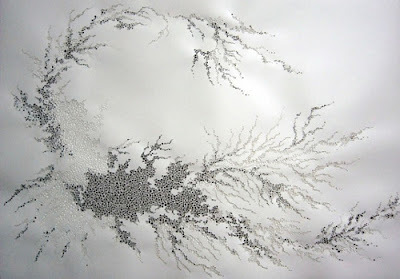 :S Tomoko Shioyasu is a Japanese artist who cuts the most delicaate tapestries using paper and hanging them in a room creates a stunning atmosphere, his pieces playing with the light, forming intense shadows on the nearby walls. 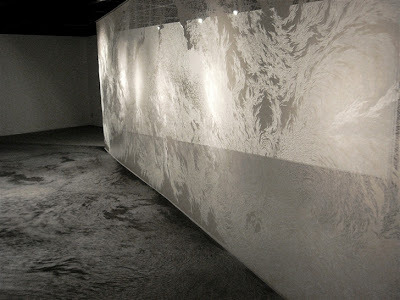 There is an alluring fragility about the textures which makes you want to touch it- it's amazing how it can support itself!